Are you still using drying machine to dry recycle PP or PE resin before blowing, injection or making pipes? 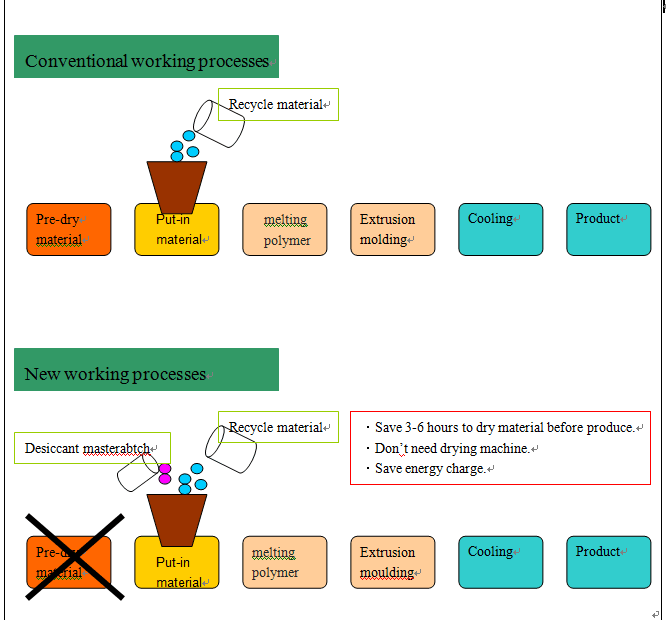 Are you looking for method to save drying process to save lead time? Here comes the Desiccant Masterbatch to help. • Who use it ? 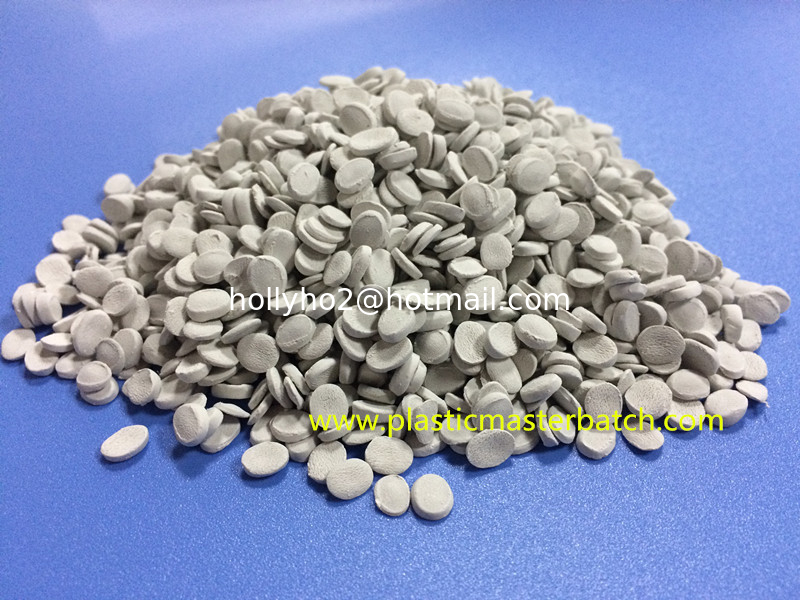 - For those who use recycle PE,PP or ABS,PA resin material. • Why use it ? - Powerful dehydration effect makes pre-drying unnecessary. - Shorter manufacturing lead times and cost saving. - Excellent compatibility with a wide range of resins. • How to use it ? 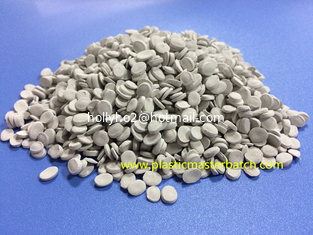 - Mix Desiccant masterbatch with raw material before injection or blowing, and then process injection or blowing film as usual processes.